Is there a better alternative to AnyTalk? Is AnyTalk really the best app in Chat category? 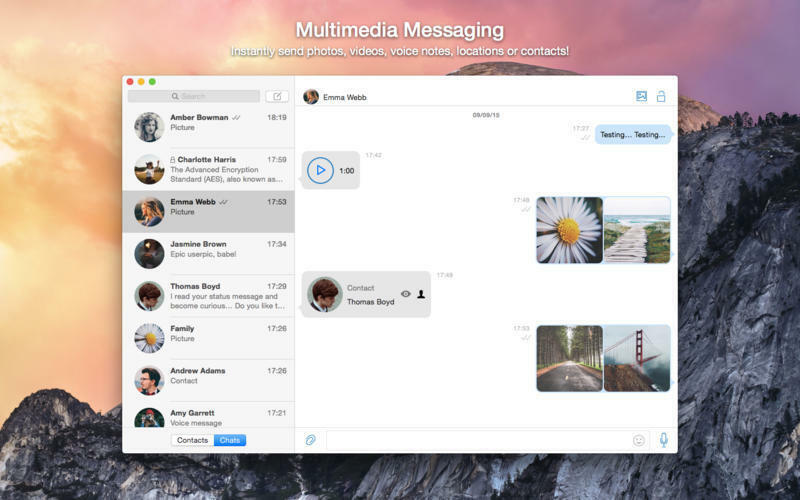 Will AnyTalk work good on macOS 10.13.4? 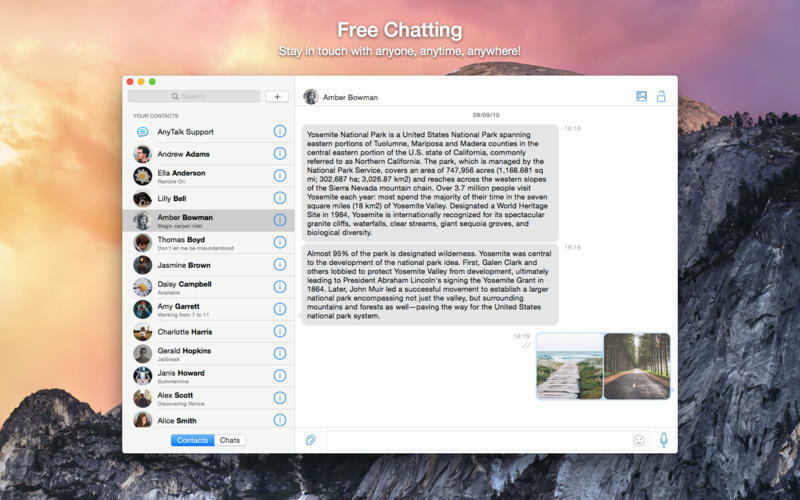 AnyTalk lets you stay in touch with anyone, anytime and anywhere for free! You can send photo and video messages as well as voice messages, locations and contacts worldwide over the Internet. 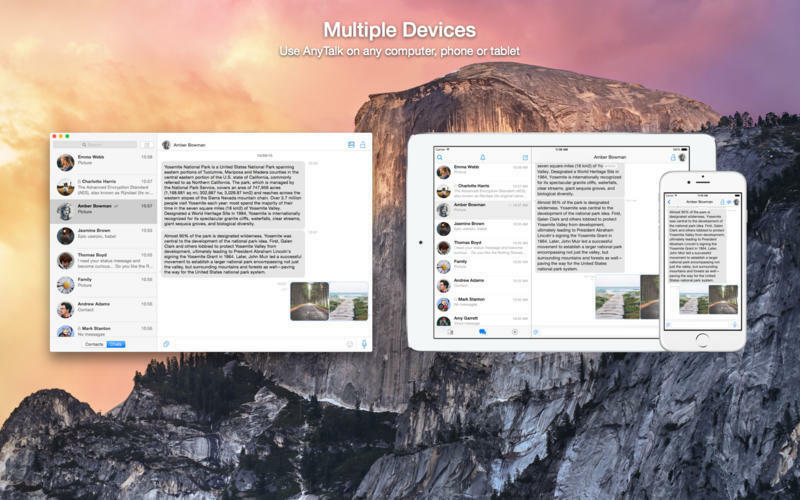 AnyTalk seamlessly syncs across your devices and can be used on Macs, phones and tablets. Synchronization and Privacy - AnyTalk cares about your convenience and privacy, so we synchronize chat history across your devices, but don’t store it on our servers. Your chat history is yours and no one else can read it. AnyTalk needs a review. Be the first to review this app and get the discussion started! AnyTalk needs a rating. Be the first to rate this app and get the discussion started! Use Different Sim Cards - AnyTalk gives you the ability to link different phone numbers to the same account. This way you can make sure you can still access your account if you lose a SIM card, and you can freely use AnyTalk while you travel around the globe using different SIM cards. 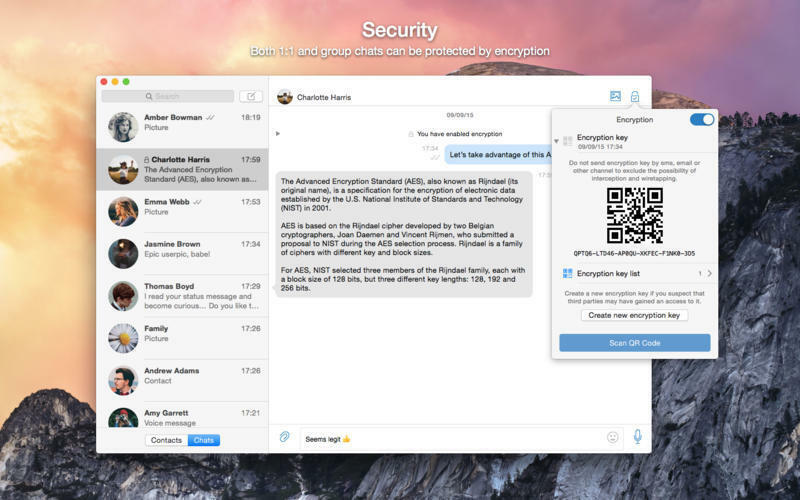 Encryption - You can enable end-to-end encryption for both new or existing chats. When encryption is enabled, all outgoing messages will be encrypted by a special key and only participants who have this key can read the conversation. The key is generated on the device of the user who initiated the encryption, and must be transferred to other chat participants by meeting in person. This way our servers know nothing about your encryption so you can eliminate any possibility of a man-in-the-middle attack.